Boccadasse is an old mariners’ neighbourhood of Genoa. This evocative area lies on the eastern side of the city. It was named after the shape of its bay which is reminiscent of the mouth of a donkey (from the genoese ‘bócca d’âze’ or donkey’s mouth). The village still retains a lot of its old-world charm: its old buildings, its narrow streets, its small pebble beach, where one can see old fishermen repairing nets. All have inspired poets and Genoese singer-songwriters, such as Fabrizio De Andrè, who composed his famous song “Crêuza de mä” just here. A pleasant Genoese ritual is going to Boccadasse to have some artisan ice-cream, especially “pànera”: a coffee semifreddo, known to Genoese people since XVIII century. 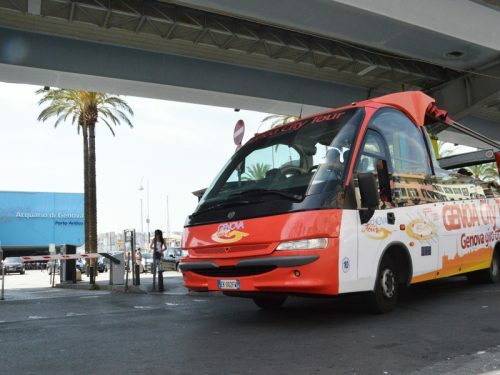 Our buses set out from “Piazza Caricamento”, near the Aquarium at 15.00. 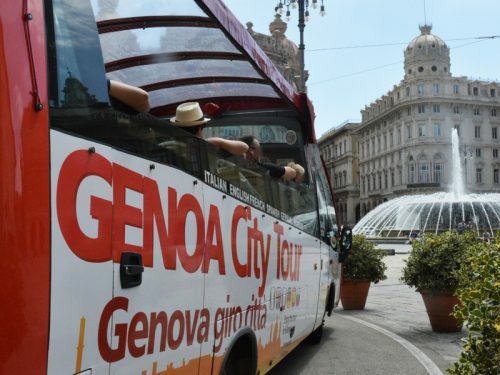 You will travel to the picturesque village on an open-top bus, via “Corso Italia”, a panoramic promenade. 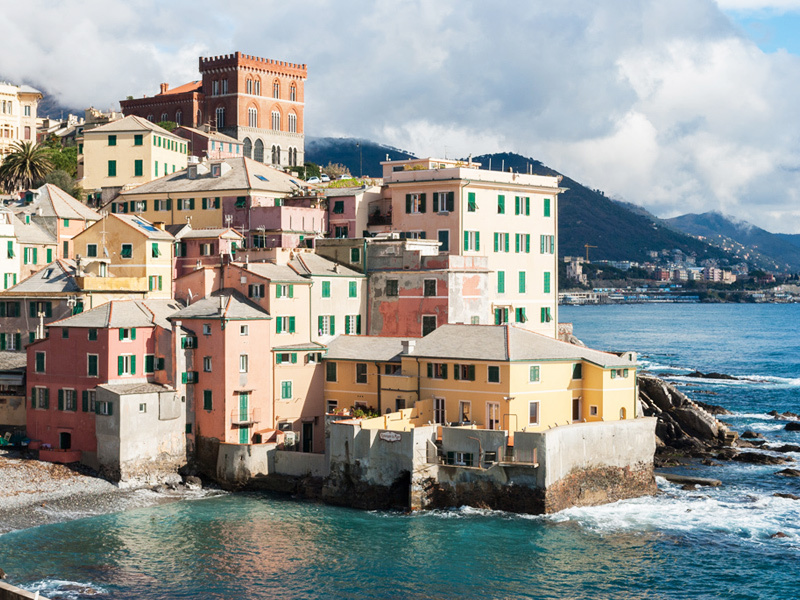 By means of earphones, you will listen to a commentary in different languages ( Italian, English, French, German, Spanish and Russian) which will help you discover this gorgeous neighbourhood of the Eastern part of Genoa. We will drop you off at the village and pick you up later, so that you can look around and have some ice-cream. On our way back, we will pass through the neighbourhood of “Albaro” with its Renaissance Villas. We will arrive back at “Piazza Caricamento” at 17.00. Groups booking: it is possible to request a group booking quote, all the year round.